According to a study by Deltek company, 2019 will provide plenty of opportunities for small businesses who want to become government contractors. We have conducted research and we prepared some interesting information about three top contracts, which we illustrated below. Every year, different research is carried out to understand what are the most interesting opportunities that industries can use to make profitable contracts with the government. The Department of Homeland Security has announced that it is seeking to acquire Information Technology Program Support Services, and intends to issue an RFP solicitation in August 2019. A current vehicle already exists, and the follow-on is expected to incorporate elements of the cancelled Flexible Agile Support for the Homeland (FLASH) program, to include agile methodology. The competition type of the ID/IQ contract is Small Business, and according to Deltek’s estimations, this opportunity will have a $22B value. The NAICS code for this contract is: 541519. Another great opportunity for small businesses is General Services Administration (GSA)’s Federal Strategic Sourcing Initiative for Building Maintenance and Operations Small Business Phase 3 Zones 7 Through 14 opportunity, which is quite flexible and comprehensive. GSA is acquiring operation and maintenance services from suitable contractors who will be responsible for supporting the strategic sourcing initiative to reduce costs and drive efficient purchasing by federal agencies. According to estimates, the solicitation release date will be in the first quarter of 2019, whereas the award date in September. This contract comprises both unrestricted and small business set aside programs available in the BMO vehicle to allow for large and small business participation. The value of this 10-year contract with one 5-year base and one 5-year option at the parent contract level is anticipated to be $17.68 Billion. 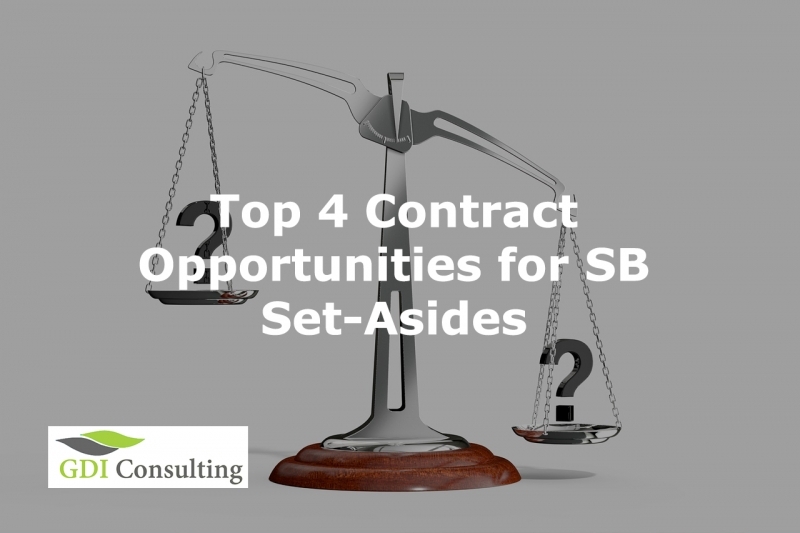 One of the other highly lucrative contracts is Streamlined Technology Acquisition Resources for Services III (STARS III), which is foreseen for the 8 (a) small business category. The services required for this opportunity are IT services, which will cost about $ 10 billion. According to Deltek’s estimates, the final RFP release date will be in June 2019, while the award date will be in August 2019. The Special Operational Equipment Tailored Logistics Support (SOE TLS) is a contract opportunity by the Defense Logistics Agency requiring tailored logistics services which will employ the techniques, advantages, and economics of commercial business practices. The competition type of this contract is a total small business, with a ceiling value of $10 Billion. According to estimates and forecasts made, the winners of this contract will be announced in March 2019. The fiscal Year 2019 provides very profitable opportunities for all industries, making small businesses more likely to become part of government contracts. The Federal Government relies on services and products of the private sector to support its agencies across the country, so do not lose your opportunity to participate in this mechanism. GDIC is specialized in comprehensive proposal writing consulting services and in positioning your business to compete for government procurements. Our services are designed to increase your winning potential!